What are the causes of infertility? How can it be overcome? What is involved in IVF treatment? What are the chances of success? An estimated 1 in 8 couples have trouble conceiving. 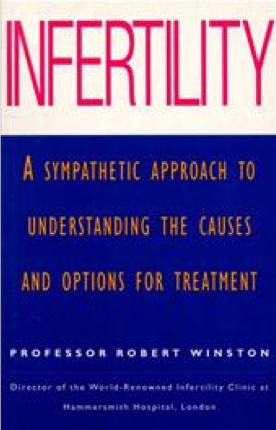 In this indispensable guide, Professor Robert Winston, Director of the Infertility Clinic ay Hammersmith Hospital, London, looks at the facts: the known cures for infertility in both men and women, what tests and investigations can be done and what they involve, different treatments available and their success rates, together with advice and support for sufferers of untreatable infertility. All the most up to date information is presented with sympathy and insight.